Much in the way of last spring's Hou Hsiao-Hsien retrospective, this year is proving to be a notable demarcation in the life's work of New German Cinema director, Wim Wenders. His lengthy career populated by eccentric wayfarers on the open road watches like series of variations on "The Searchers: Wim Wenders in One Word". A quest spanning the five decades from his earliest 16mm experimental shorts of the late 1960s to his recent award-winning documentaries, his global cinematic journeying was celebrated with a honorary Golden Bear for Lifetime Achievement at this year’s Berlin International Film Festival. This "Misfit, Outsider and the Man Who Helped America to See Itself" first came to wide attention in the 1970s for his string of existential road movies exploring modern-day alienation, spiritual confusion, loneliness and dislocation. This inversion of location, genre and style created a language out of the Americanization of Europe. The expressive possibilities of landscape, the glories of American Blues, pop and German underground rock music, and the primacy of the cinema, set in the expanse of "Landscapes that Show, Don't Tell". His Road Movie Cycle, inspired by such American counterculture renaissance pictures as "Easy Rider" and "Two-Lane Blacktop", produced three films in this genre in quick succession: "Alice in the Cities", "The Wrong Move" and "Kings of the Road". Followed by the highly-assured "The American Friend", a brilliant adaptation of the Patricia Highsmith thriller "Ripley’s Game". For his first English-language picture, Wenders cast three of his personal American movie idols: Dennis Hopper and directors Nicholas Ray and Samuel Fuller, cementing his credentials with the lineage of the cinema that inspired him. As J.Hoberman puts forward in his New York Times review, the film arrived in New York by way of Cannes, the year after “Taxi Driver” took the Palme d’Or and stunned the world. 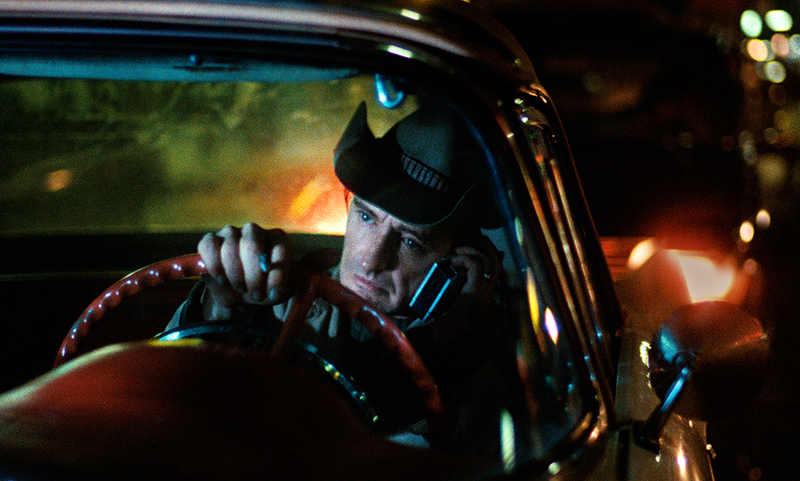 Like Scorsese and Schrader's film, "Wim Wenders' High Plains Grifter" was a new sort of consciously filmic movie; sleekly brooding, voluptuously existential and saturated with the gestures of cinephilia. Wenders’s work, in turn, helped establish the New German Cinema and the work of his contemporaries, Rainer Werner Fassbinder, Werner Herzog, Alexander Kluge, Volker Schlöndorff and Margarethe von Trotta as arguably the most significant national cinema movement of the 1970s . With the 1980s Cannes award-winning art-house hits "Paris, Texas" and "Wings of Desire", Wenders’ international popularity reached a zenith. The latter particularly resonating with young collegiate cinephiles for it's cast of illustrious underdogs from the German and British post-Punk scenes. At once rarefied and accessible, with a singular visual style that's impossible to carbon date (thanks to legendary cinematographer Henri Alekan), "The Sky Over Berlin" has earned its place alongside the likes of "Rashomon" and "The 400 Blows" in the Arthouse for Beginners canon, exemplified by it's new restoration for the Criterion Collection. This "Looking Back at the Road Ahead" at the life's work of one of Senses of Cinema's Great Directors will be taking place over the course of five weeks this coming March as the "Wim Wenders: Portraits Along the Road" touring retrospective arrives in Seattle with new restorations spanning the totality of Wenders' filmography. Wednesdays at SIFF Cinema featuring single screenings of "The American Friend, "Alice in the Cities", "Wrong Move", "Kings of the Road", "Buena Vista Social Club" and "Pina" in 3-D. With a short week of encores to follow in late April. Single screenings of the series' other selections will take place at Northwest Film Forum with "Paris, Texas", "The State of Things & The Goalie’s Anxiety at the Penalty Kick", "Wings of Desire", "Notebook on Cities and Clothes" and the exceedingly rare opportunity to catch "Until the End of the World" in the cinema in it's complete, expansive, director's cut edition. On a personal note, this year marks the 20th Anniversary since Wenders came to University of Washington's Meany Hall to present one of four existing 35mm prints of "Until the End of the World" in it's full director's cut in the mid-1990s. As of 2010, there exists two separate releases of the full, unedited, 4+ hour cut for those with All Zone / All Region Blu-Ray players, thankfully with a rumored Criterion edition forthcoming, for those who don't. 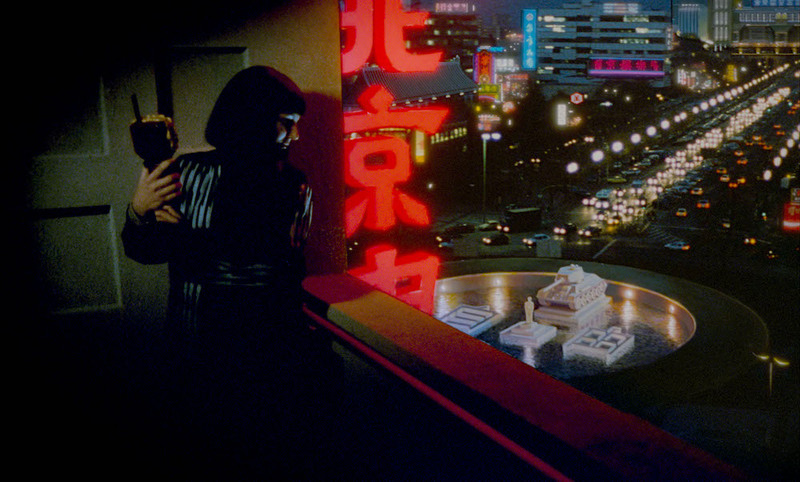 The film's backstory is as circuitous as it's extended narrative path, Wenders spent much of the 80's conceiving the film, assembling thematic content and scouting locations. Shot on four continents (including video smuggled out of China), the expanse of it's global inclusiveness were detailed in a interview for Movieline at the time of the 20th anniversary of the theatrical release, "Wim Wenders on Until the End of the World at 20, Its Amazing Soundtrack, and Loving LuLu". He and longtime cinematographer Robby Müller conceived a global road movie which foresaw a future abetted by such diversions as mobile viewing devices, proto-GPS and highly sought-after tech (by the CIA of course), which records images for the blind via the consciousness of the user. Starring William Hurt, Sam Neill, Solveig Dommartin, Jeanne Moreau and Max von Sydow among an international ensemble of actors, for all it's potential star cast and ur-Cyberpunk appeal, "Until the End of the World" was a massive loss for the studio investors. With it only grossing some $752,00 Stateside, the film never made back even a fraction of it's eventual $23 million budget. At twice the original duration its distributors Warner Bros in the United States then required cuts that truncated it to barely a quarter of Wenders’s original vision. Thereby reducing the film to a fairly inchoate, half-realized expression of it's themes when it was finally released to cinemas worldwide in late 1991. Having just recently viewed the uncut film, after some 20 years between the University of Washington screening and present day, I was struck by both the Terry Gilliam-like eccentricities of it's character and the particulars of Wenders' framing of the distractions of the technological everyday mundane. The latter notable for it's disconcerting mirroring of the world in which we now live. The English dub does contribute a stilted romaticized poetry to the script and it's pacing, and Sam Neill's exposition doesn't aid in that regard, but it still watches as a fluidly engaged sociopolitical Global Worldview on the road. The hyper-embedded technological future seen through the globetrotting Zeitgeist imagined as the end of the 20th Century in the film's opening chapter, are as convincing a alternate reality as our own big-five-dominated 21st Century. The most significant of the director's cut additions, it's third closing chapter becomes a wandering existential inquest to the edge of consciousness. After having traversed the globe, our protagonists find themselves literally in the dreaming of Australia's outback, delving deep into new frontiers of the inner universe. This third chapter's focus on mood and space, (physical and otherwise) and the potentially sacrosanct nature of the inward looking inquiry is reflected in a series of striking video manipulations and semi-linear narrative flexures. Favoring infrared and simple digital effects over the (even then) increasingly popular computer generated depictions of the imagined, we instead get a oddly timeless, convincingly surreal psycho-scape Wenders' quest to the end of the world delivers us.